Tottenham reached the Champions League semi-finals for the first time in their history with an exhilarating 4-4 away-goals win over Manchester City on a remarkable night at the Etihad. Raheem Sterling was denied a dramatic winner in stoppage time when Sergio Aguero was ruled offside in the build-up after a VAR check, as Fernando Llorente's unorthodox finish - which also survived a VAR check for handball - with 17 minutes remaining ensured Mauricio Pochettino's side face Ajax for a place in the final. Sterling (4, 21) and Heung-Min Son (7, 10) both scored twice during a frantic first-half which also saw Bernardo Silva immediately cancel out the South Korean's second strike (11). When is the Champions League semi-final? 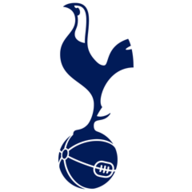 Tottenham face Ajax at the Tottenham Hotspur Stadium on Tuesday, April 30 (8pm), with the second leg taking place in Amsterdam on Wednesday, May 8 (8pm). Aguero then blasted home at the near post (59) to put City ahead in the tie, but Llorente's effort from Kieran Trippier's corner was awarded as Spurs ended City's hopes of a quadruple in the most extraordinary fashion. Spurs, who last reached the European Cup semi-finals in 1962 where they were defeated by Benfica, saw their first-leg advantage wiped out inside four minutes. 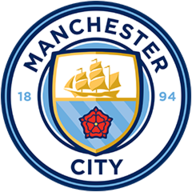 Man City: Ederson (5), Walker (6), Kompany (6), Laporte (5), Mendy (5), De Bruyne (9), Gundogan (6), Bernardo Silva (8), Silva (6), Sterling (9), Aguero (7). Tottenham: Lloris (5), Trippier (5), Alderweireld (6), Vertonghen (6), Rose (6), Sissoko (6), Wanyama (7), Alli (6), Eriksen (7), Lucas Moura (6), Son (9). Subs: Sanchez (n/a), Davies (n/a), Llorente (7). Man of the match: Kevin De Bruyne. City had won 12 matches on the trot at the Etihad, and they made the perfect start as Sterling collected Kevin De Bruyne's pass before cutting inside Trippier and finding Hugo Lloris' bottom corner. When are the CL semis and final? But Son showed his freshness to turn the tie back in Tottenham's favour with two goals in the blink of an eye. The South Korean benefited from a slack clearance by Aymeric Laporte in cutting out Dele Alli's through-ball to steer his first-time shot under the legs of Ederson. City had barely had the chance to compose themselves when Laporte compounded his error as Lucas Moura pounced on his heavy touch to spark a swift counter-attack and Son punished Kyle Walker for allowing him too much space to curl in his second. City made just one change from the weekend with Leroy Sane dropping out for Bernardo Silva. From the first leg, there were three changes with no place for Nicolas Otamendi, Fabian Delph and Riyad Mahrez. Pochettino switched five from the weekend with Toby Alderweireld, Danny Rose, Kieran Trippier, Dele Alli and Heung-Min Son all returning. Only Harry Kane and Harry Winks – both injured – were missing from the team that won 1-0 in the first leg. Immediately from kick-off, Aguero found Bernardo Silva on the right, and with Danny Rose isolated, the midfielder managed to squeeze his shot past Lloris at his near post via a deflection off the England left-back. This was already the four fastest goals at the start of any Champions League game - and City weren't finished in a frenzied first half as four goals in 11 minutes became five in 21 - meaning the hosts only needed one more goal to hold the upper hand. Their third was a thing of beauty, as Bernardo turned provider, driving at pace from midfield before finding De Bruyne on the right, and with Trippier switching off at the far post, Sterling was found exquisitely by the Belgian to finish from a tight angle. Five goals were scored in the opening 21 minutes of this game – it’s the shortest amount of time it has ever taken for five goals to be scored in a Champions League match. Son came close to completing his hat-trick before the interval when his left-footed shot whistled past Ederson's post from the angle, and the forward was booked moments after the restart for a foul on De Bruyne which rules him out of the first leg of the Champions League semi-final. Lloris kept out Sterling from point-blank range after David Silva's cut-back before Rose prevented Bernardo Silva from sliding in the rebound. Lloris produced an even better save to keep out De Bruyne's drive as City continued to lay siege on the Tottenham goal. After Llorente's header was kept out by Ederson, De Bruyne took control once more, taking Ilkay Gundogan's pass before gliding through the Spurs midfield and setting up Aguero for a thumping finish at Lloris' near post. Llorente would have the final say, however, as Trippier's corner was met at the front post by the Spaniard's hip, and despite referee Cuneyt Cakir checking VAR for a suspected handball, the goal stood. There was still time for more gripping, late drama as Sterling thought he had completed his hat-trick from Aguero's cross - but replays showed the Argentine had strayed offside before collecting Bernardo Silva's deflected pass as the Spurs players raised themselves from their haunches to celebrate the most breath-taking of victories in defeat. Llorente goal: Replays showed the ball may have brushed Llorente’s elbow before hitting his hip. Referee Cuneyt Cakir went to his pitch-side monitor to review the situation, but the angle he saw triggered no reason for him to change his original decision. Another angle suggested it may have in fact hit his elbow. Sterling’s disallowed goal: City had thought they’d netted a late winner but after jubilant celebrations in the home end the replays picked up that Sergio Aguero was offside just before teeing Sterling up. City’s joy turned to despair and vice versa for Spurs. De Bruyne kept his head when all around him were losing theirs on a night that will go down as one of the craziest games in Champions League history. It has been some time since we have seen the Belgian in such rude health, with injury denying us these masterclasses on a regular basis this season as his team-mates chased records by themselves. When are CL semi-finals and final? But he was needed here, the architect of three of City's goals, and while Guardiola will suffer after seeing the Champions League slip away from his grasp again, he will take solace from his playmaker returning to his spectacular best. Spurs are the seventh English side to reach the Champions League semi-finals (also Manchester United, Manchester City, Liverpool, Chelsea, Arsenal and Leeds) - England are now the nation with the most unique semi-finalists (overtaking Spain). No side has been knocked out at the Champions League quarter-final stage by English teams on more occasions than Manchester City (twice; also in 2017-18 vs Liverpool). Despite being eliminated tonight, Manchester City manager Pep Guardiola has won 10 Champions League games against English sides, the most of any manager in the competition's history. Raheem Sterling has been directly involved in 26 goals (19 goals and seven assists) in 20 games in all competitions at the Etihad this season, more than any team-mate. Heung-Min Son is now the highest scoring Asian player in Champions League history with 12 goals, overtaking Maxim Shatskikh of Uzbekistan. Son is the second player to score twice in the opening 10 minutes of a Champions League game away from home, after Heimo Pfeifenberger for Red Bull Salzburg vs AEK Athens in November 1994 (9 minutes). Tottenham and Manchester City face off domestically on Saturday, live on Sky Sports Premier League and Sky Sports Main Event. Coverage starts at 11.30am with kick-off an hour later.